Designed and built by Hubert Scott-Paine in ten weeks in 1933, the Miss Britain III is famous for being the first single-engined boat to travel 100mph on open water in a record set the same year, which remained unbeaten for fifty years afterwards. The hull of the boat is made from Alcad, a strong, light Aluminium Alloy which is part of the boat's secret. 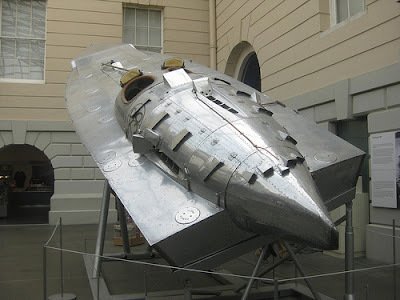 In 1951, the Miss Britain III was presented to the National Maritime Museum by Scott-Paine, and it is still on display sixty years later, in recognition of its importance in the world of speed records.